Our Transparent LCD Displays require a lot of back lighting behind the LCD for optimum visual quality. The amount of lighting required will differ from each application, depending on the size of the display, area behind etc. So usually customers will source their own LED lighting and through trial and error confirm the level of lighting required for their installation. However a lot of customers ask us to confirm which manufacturers LED lighting we recommend? We are now able to offer our LEDs directly to customers to save them the time and cost of sourcing / testing other products which may not be of the same quality. 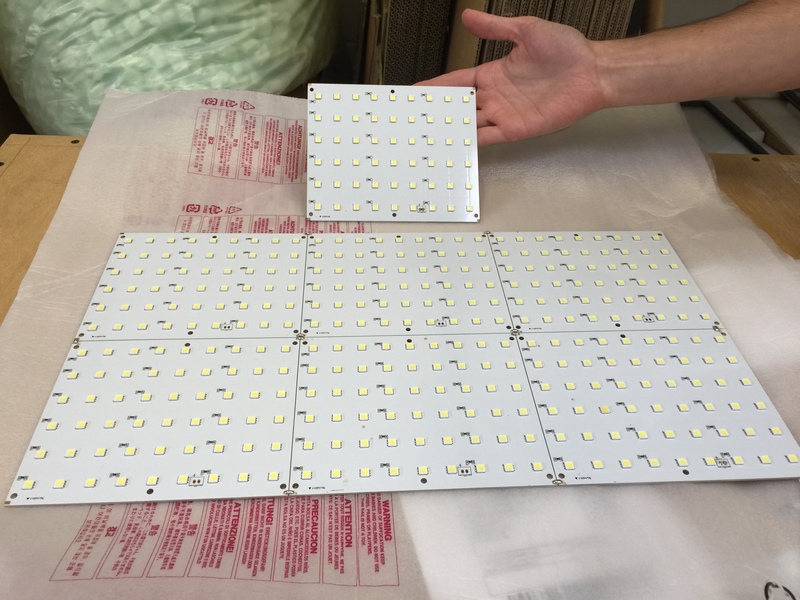 Our LEDs are actually assembled in a “tile” made up of 6 smaller sections. The 6 sections are able to be broken out from the main tile, giving more flexibility when deciding how many LEDs they wish to use. Each section has 54 LEDs, meaing a complete tile has 324 LEDs! If u would like a quotation then please call us on +44 (0)1634 327420 or email us by clicking here.